Yesterday we made some really good progress. Tanks were tested. 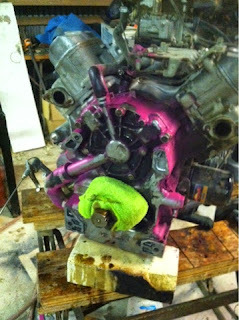 We cut the shaft on the engine. Bolt holes appeared in a new engine mounting plate. It was a really good time. 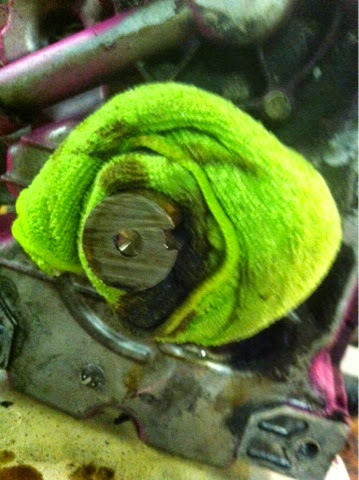 We used a rag with ice water to keep the shaft cool while cutting it with a portable bandsaw. 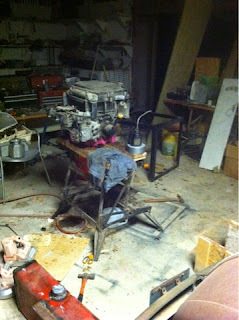 Next we'll be cutting and welding on the mount plates and tanks and looking for a shaft coupler. I believe the measurements were 1-1/8" engine side and 3/4" pump side.